You've now added Wat Saket to your itinerary. Visit The Grand Palace and Temple of the Emerald Buddha (Wat Phra Kaew) for their historical value. Your cultural itinerary includes sights like Wat Pho and Temple of Dawn (Wat Arun). The adventure continues: get a taste of the local shopping with Khao San Road and contemplate the waterfront views at Klongs. To find other places to visit, ratings, photos, and other tourist information, you can read our Bangkok road trip website . If you are flying in from Italy, the closest major airports are Suvarnabhumi Airport, Don Mueang International Airport and U-Tapao International Airport. In November, daily temperatures in Bangkok can reach 38°C, while at night they dip to 29°C. Wrap up your sightseeing by early afternoon on the 4th (Sun) to allow time for travel to Siem Reap. Your list of things to see and do now includes Pre Rup, Neak Pean, Cambodia Landmine Museum, and other attractions. Ta Prohm and Bayon Temple will appeal to history buffs. You'll discover tucked-away gems like Kbal Spean and Thommanon. 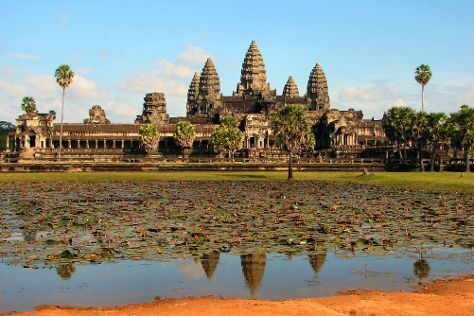 There's more to do: explore the ancient world of Angkor Wat and take in the spiritual surroundings of Banteay Srei. To find where to stay, ratings, traveler tips, and other tourist information, you can read our Siem Reap trip itinerary tool . Traveling by flight from Bangkok to Siem Reap takes 2 hours. Alternatively, you can do a combination of bus and flight; or drive. Expect a daytime high around 36°C in November, and nighttime lows around 28°C. Cap off your sightseeing on the 8th (Thu) early enough to go by car to Battambang. Your day-by-day itinerary now includes HUMAN Gallery - Joseba Etxebarria Photography as well as Nary Kitchen. Kick off your visit on the 8th (Thu): take in the exciting artwork at HUMAN Gallery - Joseba Etxebarria Photography and then learn and have fun at Nary Kitchen. For reviews, more things to do, where to stay, and other tourist information, go to the Battambang tour planning tool . You can drive from Siem Reap to Battambang in 3 hours. Another option is to take a bus. You will have some time to spend on the 9th (Fri) before leaving for Kampong Chhnang. On the 9th (Fri), take a stroll through Cambodia’s Kampong Chhnang floating village. For where to stay, more things to do, traveler tips, and other tourist information, read Kampong Chhnang vacation planner. You can drive from Battambang to Kampong Chhnang in 3 hours. Other options are to take a bus; or take a bus. In November, plan for daily highs up to 37°C, and evening lows to 29°C. On the 10th (Sat), you're off toPhnom Penh. 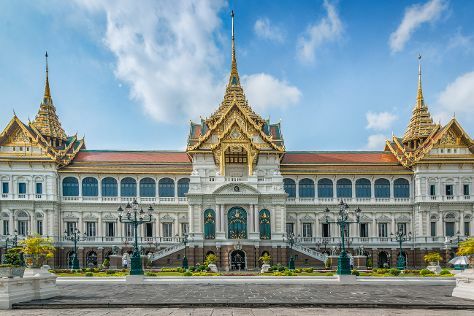 On the 10th (Sat), take in the spiritual surroundings of Wat Phnom, explore the historical opulence of Royal Palace, then pause for some photo ops at Independence Monument, and finally make a trip to Sisowath Quay. Inspirock's itinerary builder makes planning a Phnom Penh trip simple and quick. Traveling by car from Kampong Chhnang to Phnom Penh takes 1.5 hours. Alternatively, you can take a bus. In November, daily temperatures in Phnom Penh can reach 37°C, while at night they dip to 29°C. You'll have a few hours on the 11th (Sun) to wrap things up before traveling to Kampot. On the 11th (Sun), relax in the rural setting at Sothy's Pepper Farm. Keep things going the next day: mingle with the ghosts of the past at Bokor Hill Station and then take in the dramatic scenery at Popokvil Waterfall. For other places to visit, more things to do, and more tourist information, go to the Kampot day trip planner. You can drive from Phnom Penh to Kampot in 2.5 hours. Alternatively, you can take a bus; or take a train. On the 13th (Tue), you'll have the morning to explore before heading off to Koh Rong. Kick off your visit on the 13th (Tue): see some colorful creatures with a scuba or snorkeling tour. Here are some ideas for day two: don't miss a visit to Koh Rong, enjoy the sand and surf at Long Set Beach, and then kick back and relax at Sok San Beach. To find ratings, photos, maps, and more tourist information, you can read our Koh Rong journey maker app . You can do a combination of train and ferry from Kampot to Koh Rong in 4.5 hours. 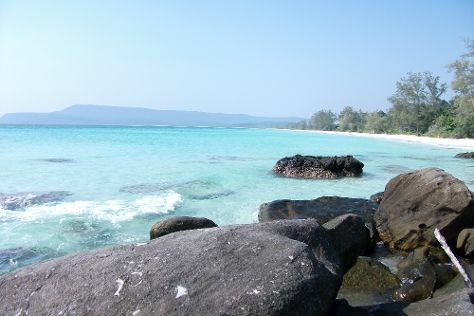 On the 15th (Thu), you'll have the morning to explore before heading off to Koh Rong Samloem. To see traveler tips, where to stay, ratings, and more tourist information, go to the Koh Rong Samloem online travel planner . Traveling by ferry from Koh Rong to Koh Rong Samloem takes 2.5 hours. You will have some time to spend on the 17th (Sat) before leaving for Phnom Penh. Kick off your visit on the 17th (Sat): steep yourself in history at Choeung Ek Genocidal Center. 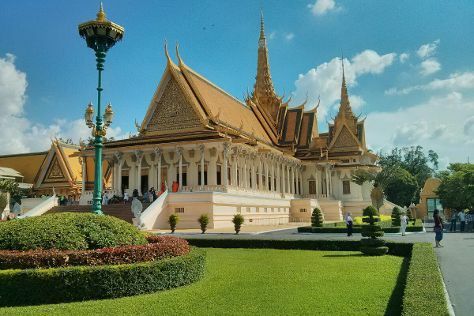 To see where to stay, reviews, photos, and other tourist information, read our Phnom Penh trip planner . Take a bus from Koh Rong to Phnom Penh in 5.5 hours. Alternatively, you can do a combination of ferry and bus; or do a combination of bus and train. You'll set off for home on the 18th (Sun).